The president promised to announce soon whether he will take part in the 2012 Russian presidential race. Medvedev explained why the New START treaty implementation could be suspended and shared his views on the Khodorkovsky case. Speaking at the Q&A session with Russian and foreign media on May 18 at Skolkovo innovation hub, the Russian president said that he had not made his final decision to run for another presidential term in the 2012 election. Medvedev promised to let the country know when this decision is taken, adding that it would be soon. “As I recently told our Chinese colleagues, there is not much time left to wait in this situation, the announcement is due to come soon,” Medvedev said. Still, the Russian president said that if he decides to take part in the 2012 elections, he would prefer to rely on the same political forces which backed his candidacy in the 2008 election campaign. Among the parties which supported Dmitry Medvedev in his first election campaign were the United Russia and Fair Russia parties, as well as the Agrarian and Civil Force parties. Russia’s president also said that he and Prime Minister Vladimir Putin have similar position on strategic issues of the country’s development. 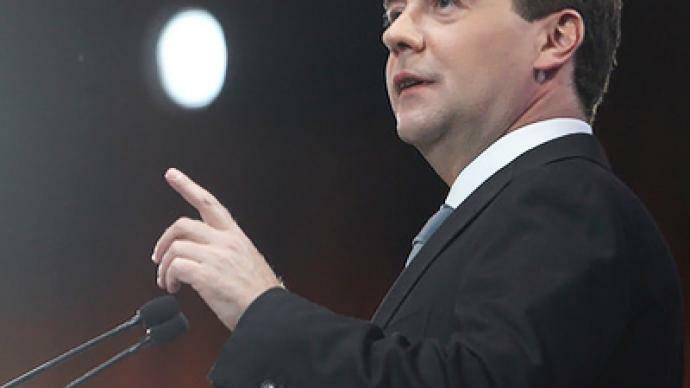 Dmitry Medvedev stressed, however, that despite their similarities, he and Vladimir Putin do not coincide in every way. On the subject of Mikhail Khodorkovsky, former director of Russia oil giant Yukos, Dmitry Medvedev said that his release from prison would not pose any danger to Russian society. “My answer will be as short as the question: no, it won’t pose any danger at all,” said Medvedev, but refrained to comment how likely Khodorkovsky’s early release was. Should the second sentences of Khodrokovsky and his former business partner Platon Lebedev come into force, they will be released in 2017. ­Asked about the present state of Russia's relation with the US, NATO and the West in general, Medvedev assumed that at present Russia-NATO relations “are actually not that bad.” The difficult period when the sides practically suspended relations is over. Medvedev stressed that is was not Russia’s, but NATO’s initiative. Now, after the Lisbon Russia-NATO summit, many topics are being discussed freely. But there is a new topic that should be discussed separately and that is America’s plans to deploy ABM systems in Europe, Medvedev stressed, saying that a European anti-missile defense system should be developed according to clear cut rules. “It should be obvious to everybody that missile defense is a way to block or reduce the strategic capabilities of other countries,” Medvedev said, recalling that no Russian neighbor in Europe has the same nuclear capabilities as Russia does, which makes Moscow believe the European ABM is aimed against Russia. Therefore Russia has to develop its nuclear capabilities unless NATO gives guarantees these ABM systems are not being developed against Moscow. Medvedev warned that Russia-US nuclear arms reduction New START treaty could be suspended, or even terminated, if the US persists on developing ABM defense systems in Europe. ­The Russian president assured that Moscow will definitely not support a possible UN resolution on Syria resembling Resolution 1973 on Libya. “We should let those countries [Libya and Syria] make their choice in terms of their future development,” Medvedev announced. 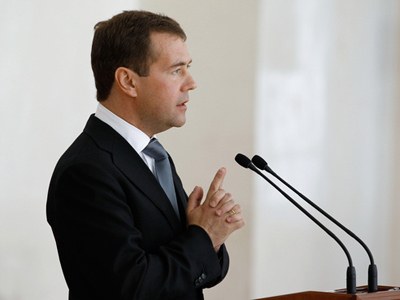 ­Medvedev commented on the controversial case of the death of Sergey Magnitsky, the lawyer for the investment firm Hermitage Capital. The president assured the Swiss journalist who asked the question that Russia will fully co-operate with Swiss authorities over the ongoing investigation. He stressed that the whole affair is very complex, despite what some media try to make the public believe. The president said he monitors the investigation. 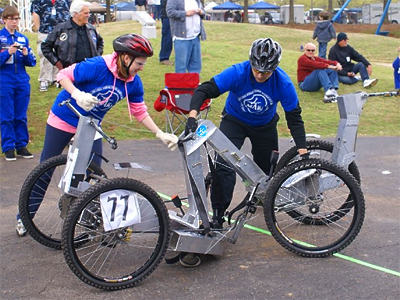 “The investigation has made considerable advancements. I was informed that soon the result of the investigation into the circumstances of the death of Magnitsky himself will be produced,” he said. Other issues relating to the case, like alleged crimes committed by both Russians and foreigners, require the further and thorough attention of the prosecution, he added. 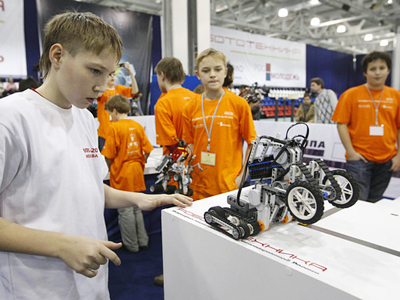 The very heart of Russia's ambitions for a high-tech future has hosted hundreds journalists today. President Dmitry Medvedev has chosen the Skolkovo innovation hub as the venue for his biggest news conference since taking office three years ago. 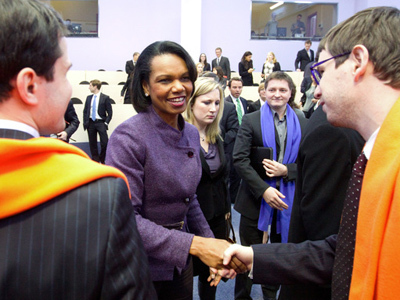 The event was attended by about 800 journalists, around 500 from Russia and over 300 from other countries. 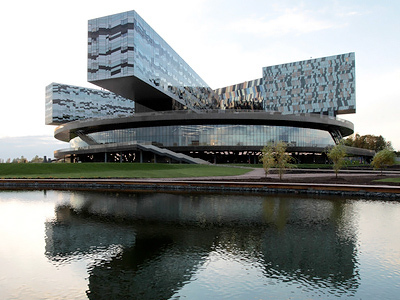 It was being held on the unique campus of the Skolkovo-based management school. According to the president’s press secretary Natalya Timakova, Dmitry Medvedev made a decision to hold a Q and A session due to the large amount of requests for interviews he has been receiving. 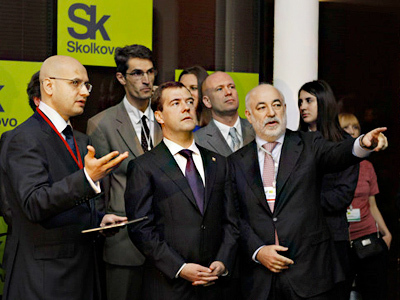 Skolkovo has all the technical capabilities for the news conference, she added. Several TV channels, including Russia Today, were broadcasting the news conference live. It was also simultaneously translated into four languages – English, German, French and Japanese. ­Watch the media conference. Part 3.